Some people like their coffee piping hot, while others love to have them cold. To benefit from the full panoply of antioxidants, it is now recommended to opt for hot coffee as it is packed with antioxidants even if cold coffee does have its perks. A fresh research carried out by the researchers from Thomas Jefferson University in Philadelphia casts light on the fact that hot coffee has higher levels of antioxidant activity compared to cold coffee. Antioxidants help in neutralising the harmful effects of free radicals in the body and prevent against a number of diseases such as heart diseases, diabetes and early death. This research was conducted to compare the acidity and antioxidant activity of hot and cold brew coffee. Megan Fuller, PhD, assistant professor of chemistry at Jefferson, and co-author of the study, stated that various research works have proven that coffee has an array of benefits, and that this fresh study reveals that hot coffee is even healthier as it is packed with more antioxidants than cold coffee. However, the researchers agree to say that additional research is needed to fully understand the differences in the health aspects of coffee with regards to brewing temperature and time. Antioxidants act like the ‘cleaners’ of the body, oxidising free radicals and helping to flush them out of the body naturally. 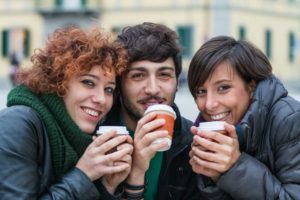 They are found in large amounts in coffee and research has shown that consuming three to five cups of coffee daily can provide a coffee drinker with up to 60% of his or her daily antioxidant intake requirement. Recent studies have come to destroy unfounded beliefs and myths that caffeine can be toxic by itself due to its stimulant caffeine content. On the contrary, coffee is full of healthy antioxidants. 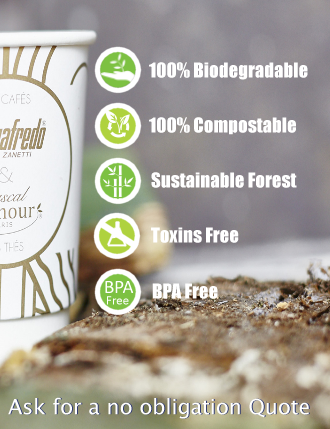 Cafestol present in coffee beans, for example, is still available after decaffeination. It acts like a bile acid modulator and is a powerful anti-inflammatory substance in the brain. Cafestol may, thus, help to enhance memory, according to Science Daily. Trigonelline is another potent anti-bacterial compound that helps prevent dental caries. It is ten times higher in roasted coffee than green coffee, and its presence is superior in Arabica compared to Robusta coffee. Another potent compound in coffee is chlorogenic acid that is abundant in both green and roasted coffee. It is a key player in the antibacterial, anti-inflammatory and antioxidant activities in the body, believed to be able to fight diabetes after tests conducted in rats and humans proved that it led to curb fat accumulation in the body and boost metabolism rate. Phenols and melanoidins equally present in coffee both have antioxidant properties. Caffeine, itself, is a potent antioxidant that helps cure headaches, in weight loss and in the prevention of diabetes. It is found twice as much in coffee as in tea. As a matter of fact, coffee has more antioxidants than both green and black teas. In 2010, another study revealed that coffee has higher levels of antioxidants than red wine while many people believed the contrary. Numerous studies have been conducted with regards to the antioxidants present in coffee. Dr David Troup from Monash University was the first scientist to discover that coffee has free radicals that can fight against harmful free radicals in the body. It has been noted that they help flush out toxins that can damage protein and DNA. Another study published in the American Journal of Clinical Nutrition revealed that drinkers consuming decaffeinated coffee have 15% less risk of develop colon cancer for up to 10 years, compared to non-drinkers. Coffee can also help curb premature ageing as its antioxidants can help alleviate the harmful effects of ultra-violet rays to the skin. Research has equally shown that coffee consumption can protect against mental disorders such as Alzheimer’s disease, Parkinson’s disease, and other forms of dementia. Another study has also revealed that coffee can help women deal with stress, avoid depression and keep off suicidal thoughts. Coffee is often considered to be an acidic beverage. During their study, the researchers from Thomas Jefferson University likewise concluded that the levels of acidity of hot and cold brew are more or less similar. It was a common belief that cold brew is less acidic than hot coffee, making it milder on the stomach. The scientists, however, revealed that the pH levels of both brews fall in a range of 4.85 to 5.13. As a matter of fact, coffee is less acidic than drinks such as beer, soda and orange juice. In the coffee world, coffee aficionados generally link the acidity of the coffee to the bright, dry and sparkling sensation that distinguishes a high-quality coffee from mundane coffee. The acidity in coffee is prized by third wave coffee lovers, as well as competition judges. When acidity is highly pronounced, it makes the taste sour, and when it is not pronounced as needed, the coffee tastes flat. Other coffee drinkers may simply consider acidity in the coffee as something that may cause stomach ache. Some coffee drinkers may, thus, prefer dark roasted coffee. Nonetheless, even if dark roasting does reduce acidity, it equally masks the origin profiles. To avoid irritating their stomachs, many drinkers opt for milk-based beverages such as cappuccinos or lattes, or cold brews. Even if cold brews have fewer antioxidants than hot brews, many coffee lovers find them tastier than hot coffee. And this is a positive sign. According to Frank Hu, MD, PhD, professor of epidemiology and nutrition chair at the Harvard T.H. Chan School of Public Health, those consuming cold brews are less likely to load their coffee with fat or calories in the form of milk, sugar or cream. As a result, cold brew diehards may be consuming coffee in a much healthier manner than those loading their hot coffee with cream and sugar.